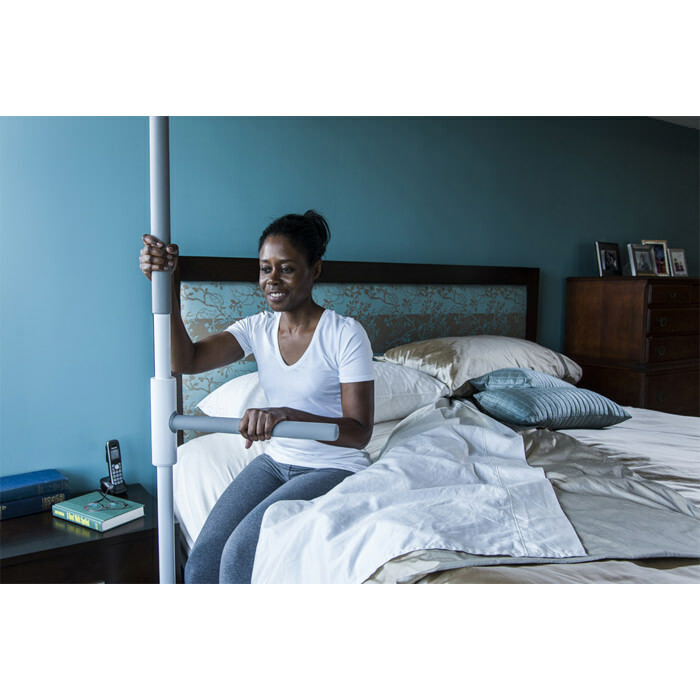 HealthCraft superpole stand assist system with superbar is suitable for clients who require moderate assistance to achieve small steps during transfers. The horizontal bar can be lifted, pivoted and lowered to the next locking position around the superpole. In any of the 8 lowered position (every 45 degrees) the SuperBar can be used to support the user. Superbar offers support that can be placed exactly where the user needs it, moving with him to provide optimal safety. The superbar is a horizontal pivoting and locking bar that mounts to the superpole. Safety: Unlocks and pivots freely to move with the user step by step, yet locks every 45 degrees to assist with standing and sitting. Automatically locks when released preventing forward or lateral falls. Provides full support when making two or three steps transfers. Ease of use: No reaching, stretching or twisting required. Flexible: More compact than a walker in small restricted areas such as washrooms. Bathtub application: Provides complete support for step-over without reaching for wall bars. 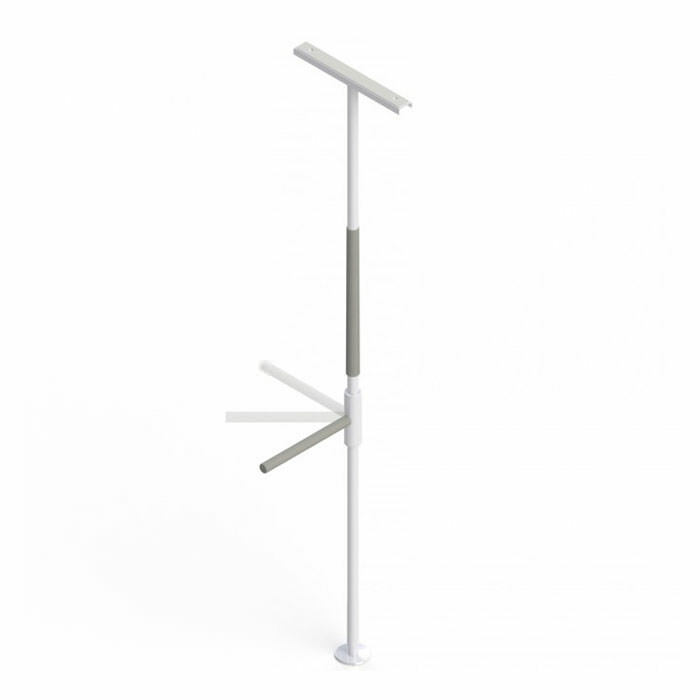 The superbar can pivot away from shower curtains, allowing them to fully close during a shower. Floor to ceiling range 93" - 99"
Top plate length 20" 20"
Base plate diameter 5" 5"
Box 2: 13 lbs. Box 1: 11 lbs.